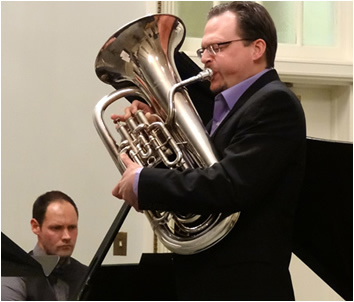 Still fairly new to writing for the low brass community, I was delighted (and surprised) to receive word that two of my pieces (Spitfire & Coming Home)were selected as finalists in the 2014 International Tuba-Euphonium Association Harvey Phillips Excellence in Composition Award. Time for a little shameless self-promotion! 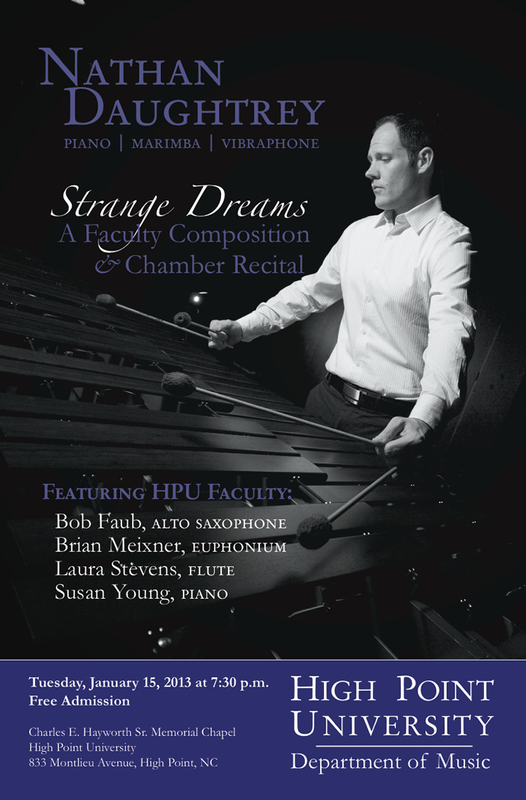 I have a bunch of new pieces that were just released for publication over the summer – a mixture of chamber, concert band, and percussion ensemble works. Just hit play on the jukebox player below. It will keep playing even if you click on a link, so browse away! The flute and the marimba have a fairly short yet rich history. However, it wasn't until I was commissioned to write a piece for the combination a year ago that I started exploring it more in depth. Not having performed any flute/marimba duets, I was delighted to find some wonderful pieces for the combination (see the lists below). Additionally, more and more performance duos have been popping up in recent years, helping to expand the repertoire. I encourage you to check out the plethora of recordings from some of the pioneers in the genre by Googling some of the names of performers in the list below. Naturally, I jumped at the opportunity when Rick and Jenn Elliott contacted me about a commission for flute and marimba. I had already written pieces for clarinet/marimba, oboe/vibraphone and alto saxophone/marimba. Those reedy wind instruments blend extremely well with the mellow woodiness of the marimba. Honestly, you don't have to work that hard to make them sound good together. When preparing to write for flute and marimba, I listened carefully to the qualities of the different registers of both instruments and how I might play them off one another. I recall falling in love with the lower register of the flute (lower half of the treble clef staff) and finding ways to have that rich, breathy sound emerge out of the marimba playing in the same register. In fact, this is how the piece opens. The title of the duet, An Extraordinary Correspondence, comes from the subtitle to the book "Griffin & Sabine" by Nick Bantock. This groundbreaking book appeals to our (taboo) voyeuristic desires to read the mail of others. The story follows two people who have never met that start writing to one another because Sabine shares Griffin's "sight." He's an artist and she can see what he draws and paints as it is happening. As their relationship unfolds, they quickly find that they are actually living in parallel worlds. I followed the arc of the story pretty closely, having the marimbist play the role of Griffin and the flutist play the role of Sabine. Rick and Jenn Elliott will perform the world premiere of "An Extraordinary Correspondence" on August 7, 2011 at Trinity Episcopal Church in Hamilton, OH. The piece will be published C. Alan Publications and available to the rest of the world in June of 2012. While living in Houston a few years ago, I started developing a new series for C. Alan Publications that would feature percussion ensemble pieces for younger groups with flexible duration, instrumentation and number of players. The Ignite Series for the Developing Ensemble will finally be coming to fruition this spring/summer with a fresh collection of pieces by C. Alan composers, including Josh Gottry, Mario Gaetano, Adam Miller, Kandis Taylor, Scott Harding, Donna Bohn and myself. My first contribution, titled Topsy Turvy, is meant to conjure up the magical sights and sounds under the big top of the circus. The piece features very flexible instrumentation and also provides the opportunity to 1 or 2 students to be in the spotlight playing percussion "toys," such as siren whistle, slide whistle, slapstick, duck call, ratchet, vibraslap, flexatone, brake drums, or cowbells. It is playabale by as few as 6 players or as many as 14. Topsy Turvy will receive its world premiere on May 10, 2011 by the Braxton Craven Middle School Percussion Ensemble, directed by Chris Ferguson and Lindsey Eskins.